The U.S. Food and Drug Administration (FDA) has formally banned four types of R.J. Reynolds cigarettes, giving retailers 30 days to stop selling the products and dispose of them under penalty of fines or prosecution. The FDA imposed the ban on Tuesday, citing that R.J. Reynolds has failed to prove that the cigarettes were not more harmful than currently existing products. 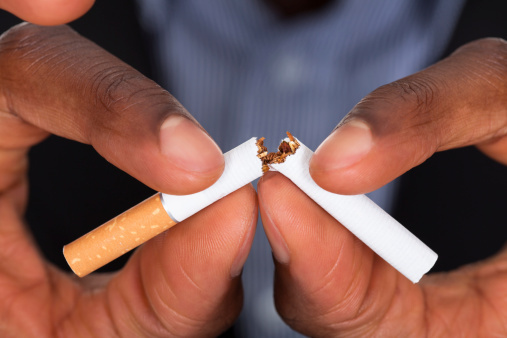 The Family Smoking Prevention and Tobacco Control Act of 2009 gives the FDA the power to ban tobacco products if it believes them to present a higher public health risk than any comparable products already available. The four brands in question—Camel Crush Bold, Pall Mall Deep Set Recessed Filter (normal and menthol), and Vantage Tech 13—were introduced during a grace period that existed after the law was passed. When the grace period expired in 2011, R.J. Reynolds applied for the “substantial equivalence” status that would have allowed the products to remain on the market. They submitted material that aimed to show the brands had either the same characteristics as existing products or that any differences did not increase the health risk to the public. In its press release, the FDA cites several factors in determining its ruling. According to the FDA, R.J. Reynolds failed to show that the higher menthol, new ingredients, and higher yields of harmful components “…did not raise different questions of public health.” In the case of the Camel Crush Bold brand, there was also a failure to show that the use of a menthol capsule in the filter did not affect rates of consumer use and how the product was perceived. As the four brands make up less than one percent of R.J. Reynolds’ cigarette sales, the ban is not expected to be a significant blow to the company. For its part, R.J. Reynolds has released a statement strongly disagreeing with the FDA’s ruling, saying that the submissions were comprehensive and should have shown substantive equivalence. Tavernise, S., “F.D.A. Bans Sales of 4 Cigarette Products by R.J. Reynolds,” The New York Times web site, September 15, 2015; http://www.nytimes.com/2015/09/16/health/fda-orders-rj-reynolds-to-stop-selling-4-cigarette-products.html.